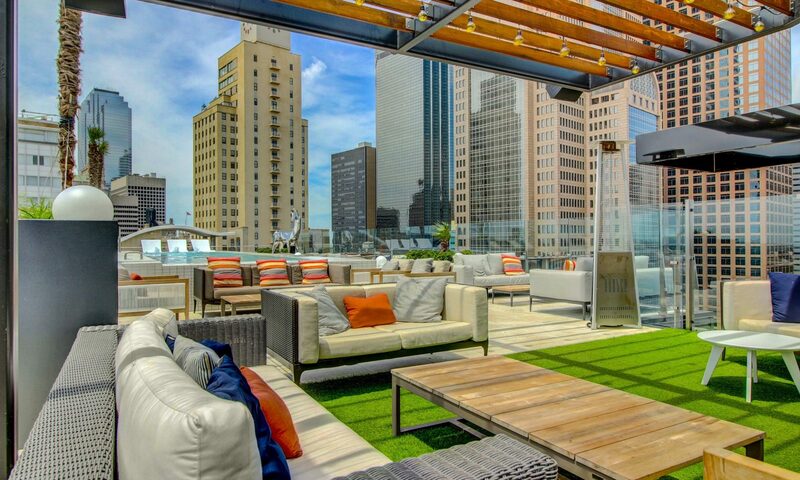 With a population of 185,200, Irving has 69.3 square miles located in Dallas County midway between Dallas and Fort Worth, adjacent to DFW International Airport and 15 minutes from Love Field in Dallas. Irving is the 12th largest city in Texas and is also home to the affluent communities of Las Colinas and Valley Ranch. For shopping, Irving has more than 100 shopping centers and 1.1-million-square-foot Irving Mall, with more than 150 stores. The Mandalay Canal Walk in Las Colinas, reminiscent of an Old World village, is lined with boutiques and restaurants. There are also more than 600 food establishments in Irving. Its broad business base shows the vitality of Irving’s local economy, with 40-plus Fortune 500 companies and over 25 company headquarters calling it home. Las Colinas, a 12,000-acre privately funded, planned business and residential community, is Irving’s urban center. Irving is served by three area school districts: Irving ISD, Carrollton-Farmers Branch ISD, and Coppell ISD. Higher education is available at North Lake Community College, the Irving campus of the Dallas County Community College District, and at the University of Dallas, a private liberal arts university. For fine arts patrons, Irving Arts Center is home to many performing arts groups and to the Irving Sculpture Garden. The Studios at Las Colinas is a major motion picture and television production center located in the Dallas Communications Complex, a 125-acre development that is a center for more than 120 media, advertising, and communications companies. 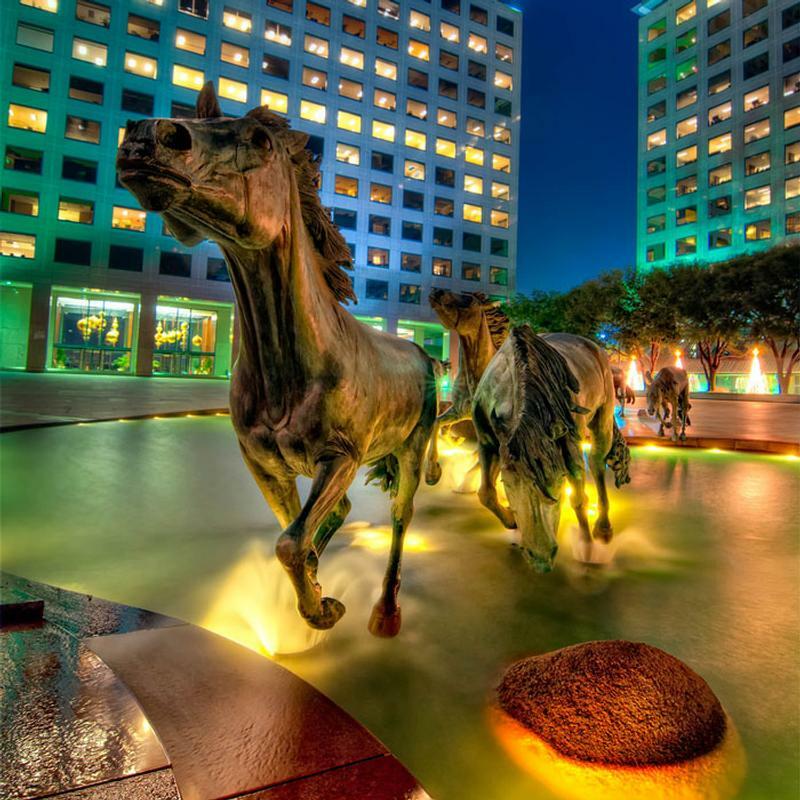 Residents and tourists alike enjoy the Mustangs at Las Colinas, the largest equestrian sculpture in the world with its nine larger-than-life bronze mustangs galloping through a prairie stream. For those interested in sports, Irving offers one public and four private golf courses, tennis, swimming, an Olympic-sized indoor ice-skating rink, and other team sports. For sports fans, Irving is famous for the home of the Dallas Cowboys professional football team, and the Dr Pepper StarCenter Ice Arena in Valley Ranch is is a great venue for hockey fans. Horse lovers and polo enthusiasts enjoy the Las Colinas Equestrian Center and Polo Club. For fishing, boating, and water sports, area lakes are within close driving distance. Mustang Canyon in Irving is home to the area’s only professional water ski team. Irving has more than 53 public parks totaling more than 2,000 acres, including the 300-acre Twin Wells Park and Golf Course.